SmartPak packages over 600 different equine supplements and pharmaceuticals into blister packages to make feeding horses easier and more consistent. Thousands of orders go through the factory each day. Every so often, an order would slip through visual inspection with the wrong product. A bad order could spoil the relationship with a good customer or, even worse, harm an animal and raise liability issues. 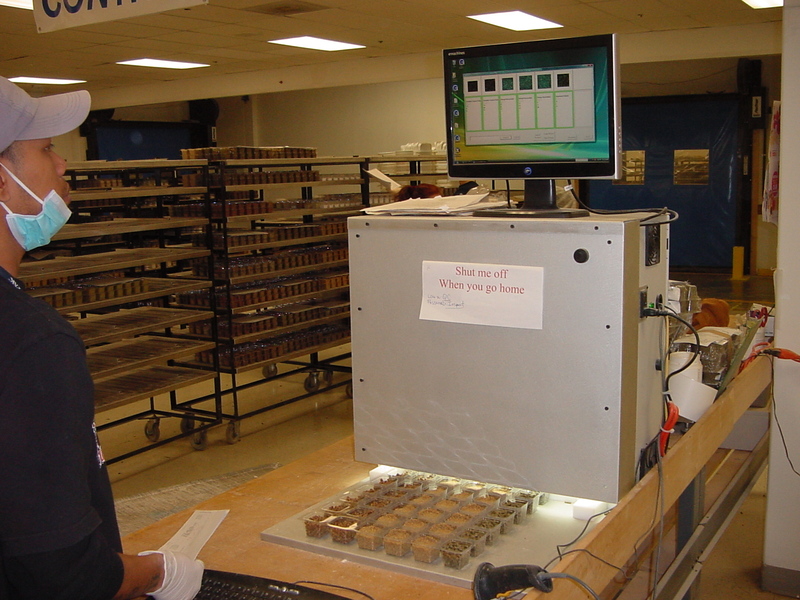 SmartPak asked numerous vendors and optical integrators to build them an automated QC system. One by one the vendors ‘no-bid’ the system as ‘impossible’ claiming the products were too similar to be differentiated by vision software. GCA undertook the challenge. GCA custom-produced an inexpensive system that optically checks each order in seconds. The GCA inspection unit now checks more than one thousand orders per shift. SmartPak now enjoys a perfect record of shipments that exactly match what was ordered for months at a time while also achieving record volumes. The program has been so successful that SmartPak has ordered another automatic optical inspection unit for another part of their factory.